Alongside MY DYING BRIDE and ANATHEMA, PARADISE LOST were a part of "The Peaceville Three," the trio of English bands that were integral to the genesis of the death-doom genre. The band also helped pioneer the gothic metal subgenre. As it moved deeper into its career, PARADISE LOST became significantly less extreme musically, though equally profound. Things changed with 2015's "The Plague Within", a decidedly more hard-hitting affair that harkened back to the thick and heavy style of yore, without plagiarizing from the group's earliest of scripts. Not only does "Medusa", the unit's 15th full-length, carry forward in a similar vein, it's an amplification of that album's heaviest elements. 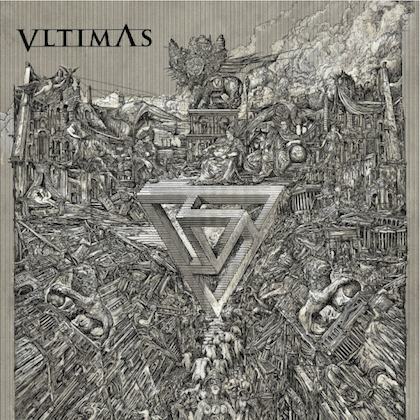 And true to its name, the album is an aural representation of the well-known malevolent figure of ancient Greek mythology. A funeral procession-like organ flourish starts everything off, followed by a bold, dramatic intro that sets the stage for frontman Nick Holmes's raspy death metal roar, an early PARADISE LOST hallmark that had taken a back seat for many years, and, once again, reasserted itself with "Medusa". It is safe to assume that the group isn't expecting any kind of mainstream appeal considering that this opening track, "Fearless Sky", is the album's longest track—clocking in at over eight-and-a-half minutes. Holmes's melodic vocals introduce themselves appropriately as the song's mood and tempo take an upswing. "Blood and Chaos" is another upbeat song. However, there isn't much beyond these limited occurrences that escape the swallowing black hole of misery and gloom. There is a fine line between depressive material and that which is filled with melancholy. The bulk of "Medusa" straddles that fence. 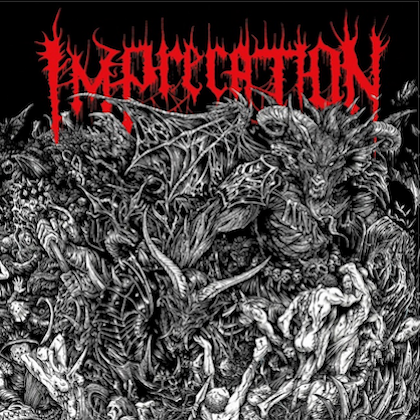 Oozing sludge drips off the notes at times. Yet, PARADISE LOST's distinctly English-styled gothic death-doom remains based on gargantuan riffs and tones, as well as majestic traditional metal guitar work. The band has pulled a few pages from its first chapter and rewritten them with the greater sense of songwriting it has developed over the years. 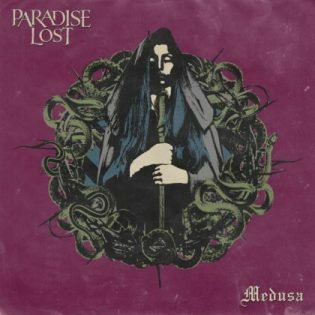 "Medusa" will satiate fans of any PARADISE LOST era, and it will stoke the fires of old-school diehards who were always hoping for more pronounced elements reminiscent of the band's early material.